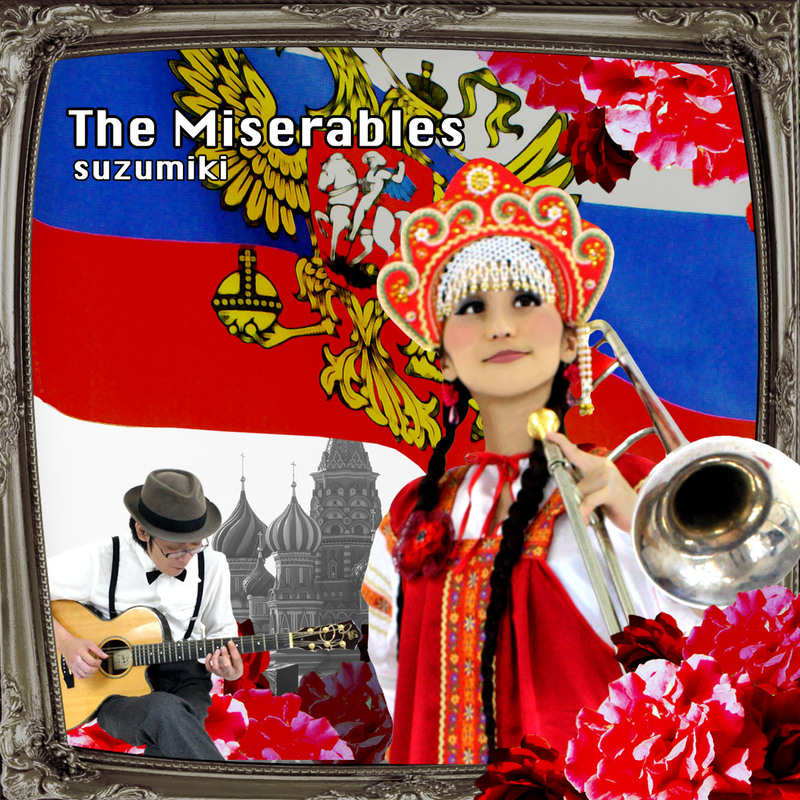 "otogamenashi", "seeking Asylum", and "The Miserables" are all available on iTunes, amazon, CDBaby and Spotify. Here is suzumiki's show information. suzumiki presents "Longing for Spring, Waiting for Cherry Brossom"
Farewell to Boston...Suzuyakko finally came back to Japan! suzumiki(Tb.Suzuyakko and Gt.Mikio Yoshimura) and Sushi Planet(Tb.Sushiyakko and Vib.Soshi Kubota) will be performing for the first time in 8 months since last gig. Enjoy their funny and happy music. The follows are past shows. Suzumiki will cerebrate Sushi Planet's first EP "ORIZUME 1" is released! Suzumiki also has a special guest, Soshi Kubota (a.k.a. Mr. Sushi), an amazing Vibraphone player, and performs suzumiki's and Sushi Planet's songs. Don't miss out! Suzumiki will have a special guest, Soshi Kubota (a.k.a. Mr. Sushi), an amazing Vibraphone player and perform suzumiki's and Sushi Planet's songs. Don't miss out! suzumiki presents "Bank a la mode vol.2"
Bank a la mode is back! Avand-garde, punk, rock, and cosplay... enjoy the mixed-genre funny night party! 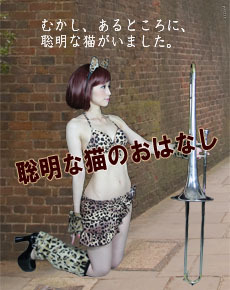 suzumiki　Cosplay trombone and guitar duo. they create theaterical funny performance. Over Key No Rauch OnAvand-garde artist from Vietnam. Bolshoi Suzumiki DVD RELEASE PARTY!! DVD"Goro Goro Nyahn" RELEASE PARTY!! "Bolshoi Festival for Cats and Gods"
You can purchase good price tickets. all tickets are not included drink fee. please pay for 1 drink when you enter the venue. "Goro Goro Nyahn" is back! "Mikion, the God" is coming! suzumiki presents "suzumiki's omotenashi for the begining of the sweet summer"
Bolshoi Suzumiki music theatre "Goro Goro Nyahng"
*all above tickets do not include drink fee. you need to pay 1 drink fee at the entrance. "Goro Goro Nyahng" is back! suzumiki presents "suzumiki's omotenashi for happy new year 2015"
suzumiki presents "suzumiki's omotenashi for endless sultry night"
suzumiki presents "we can't wait Bolshoi!" special website has just been open! *checking answers for "Spot the Difference" is held at the venue after the show on 7/19. it's friday night, have a good music and drink. suzumiki presents "Bank a la mode"
suzumiki presents! extraordinary unique bands from all over the world come together! suzumiki goes to Kyushu in 2014!! "suzumiki is back to Kumamoto with the 3rd album!! afternoon show"
"suzumiki comes to Hakata with the new album! vol.2! "Open up the door of enchanted room"
under 18-year entrance is prohibited because burlesque show is held. photo shooting is prohibited except official photographers while burlesque show is held. suzumiki presents "Suzuyakko comes back!! Omotenashi in the end of 2013"
charge　2000yen plus 1 order needed. NO STYLE presents "acoustic night"
suzumiki presents "A little unordinary show SPECIAL! new album release!!" suzumiki presents "Omotenashi in the begining of summer"
3rd photobook "working ladies" release party!! suzumiki presents "Omotenashi in the season of beautiful green"
suzumiki presents "A little unordinary show FINAL"
※There's an entrance fee of 500 yen plus a 1 drink minimum. "suzumiki presents "omotenashi in the begining of a happy new year 2013"
suzumiki will held a one‐man show in the begining of a happy new year 2013! 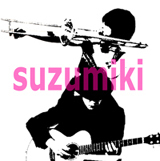 suzumiki plays original tunes, cover songs. Suzuyakko changes costumes each set. suzumiki presents "A little unordinary show vol.4"
suzumiki one man show "suzumiki is back! yes, we are homesick!" suzumiki goes to Kumamoto on Nov. 16th!! the one-man show at Roll Cafe, Shin-shigai, Kumamoto. Sun, Nov. 18, 2012＠Kurosaki BRAVO! "suzumiki presents "omotenashi in the begining of the end of summer"
suzumiki will held a one‐man show in the begining of the end of summer. suzumiki plays original tunes, cover songs. Suzuyakko changes costumes each set.please come to see whether Suzuyakko has changed or not after 5 week at Berklee! Suzumiki is going to go to HCMC, Vietnam to have shows!! This is the first show abroad for them!! "Nostalgia ~ from the chamber of Saigon Princess~"
A special nostalgic sounds concert from Saigon. "suzumiki's first show in HCMC, Vietnam!" suzumiki is going to have 2 shows at Shimokitazawa Mona Revords this spring. TRANSWEETS LIVE02 "Dawn of much of Whip Creme Night"
This show is a pre event of "TRANSWEETS 02", an exibition of surreal for sweets, will be held in Roppongi Lodge on April. You can enjoy the music shows of the exibition's members and delicious sweets and a huge amount of whip creme made by paticieres! suzumiki starts to play at 20:40.
suzumiki presents "A little unordinary show vol.2"
UST program "suzumiki's LAB" is broadcasted. 7th lesson "Welcome back, Miki-tee!" for celebration of the release of 2nd album "亡命 -seeking Asylum-". "VIDEO BROTHER × odusseia presents Yamada×Yuasa's Black Poison vol.1"
"suzumiki 2nd album release show"
There are maps of venues suzumiki always has shows. Click a map for larger size. Copyright © 2010 FM Satisfactory All rights Reserved.